Beloved husband, father, grandfather, brother and friend, Thomas J. Reif died on Saturday, September 19, 2015. As a tribute to him, his family established the Thomas J. Reif Memorial Scholarship Fund. Many friends and associates have contributed to the fund awards scholarships to graduates of Alexandria Area High School who are student athletes and leaders. Tom and his wife, Mary Jane, raised their four children in Alexandria and were avid Cardinal Athletic fans and supporters of the community. 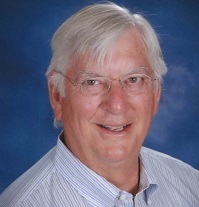 Tom was a partner at the Thornton Law Office in Alexandria until his retirement in 2014. He served on the Alexandria School Board from 1986-1992 and had the honor of serving as chairman of the school board for his final two-year term.